At DIS we are strongly influenced by the style of teaching born in the small village of Reggio Emilia in Italy. At the core of our Reggio approach is the belief that each child is fully capable of expressing themselves and communicating their interests. Because of this, we believe that the children can have a great deal of control over their own education. The DIS Approach offers children an amazing array of experiences designed and curated by the teachers to reflect each child’s interests and strengths. As the children work alongside their friends and teachers to develop projects, they learn how to work as a team, complete research, become confident in themselves and their own abilities, and most importantly, develop a love for school and learning. The Reggio Emilia approach was developed in the 1940s in the town of Reggio Emilia in Italy. The educators and parents in this community developed the approach with the goal of helping children become better citizens. 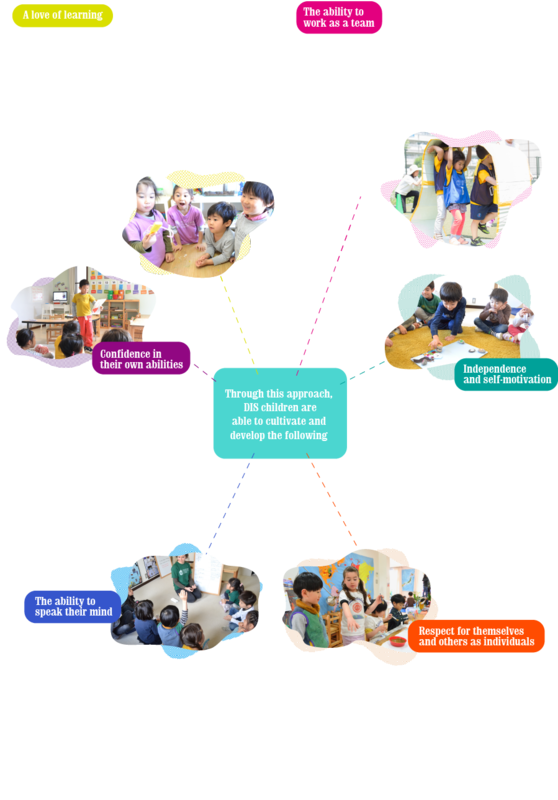 The Reggio approach is flexible and is developed from children's ideas, thoughts, communication, and observations. The goal of the approach is to help children develop a lifelong passion for learning and exploration. The Reggio approach gained a lot of attention in 1991 when experts at Newsweek magazine listed the preschools in Reggio Emilia one of "best top ten schools in the world”. Support and interest for Reggio continues to grow and even leading institutions like the World Bank and Google are advocating for the Reggio approach. The goals of the Reggio approach and the DIS philosophy align perfectly and therefore Reggio was incorporated into the DIS approach to education and our mission to help children develop into confident and capable world citizens.